Main principle of this report is to analyze the performance of ICB, it’s Image and its role in the capital market of Bangladesh. Other objectives are review the overall performance of ICB Mutual fund and analysis how ICB floats and manages the Mutual Fund. report also focus on the overall performance of the ICB Mutual Fund and to know the product of ICB at the securities market in Bangladesh. To analyze the performance of ICB, it’s Image and its role in the capital market of Bangladesh. To know the institution as national level organization contributing to the economic development of the country. To relate our theoretical learning with the practical situation. To learn the practical aspect of the Investment Corporation of Bangladesh. To get aware about the working environment in advance that will help in adjusting a student with the future working life. To review the overall performance of ICB Mutual fund. To gather knowledge of how ICB floats and manages the Mutual Fund. To focus on the overall performance of the ICB Mutual Fund. To know the product of ICB at the securities market in Bangladesh. Primary sources data are those, which are collected from face to face discussion with the help of the officials of various departments of ICB in charge. Daily Newspapers, journals and books & various write up of Economic & Business. Monthly review of DSE & CSE. Materials & documents of ICB. Investment Corporation of Bangladesh (ICB) is a statutory corporation. It is mainly an investment bank. As an investment bank is a financial institution, which mobilized fund from the surplus economic units by savings securities and developed funds to the deficit economic unit also by buying/underwriting securities. After Liberation in view of social economic changes, the scope for private sector investment in the economy was kept limited by allowing investment in projects up to taka 25 lacks. The new investment policy, which was announced in July, 1972 provides for an expanded role of private sector by allowing investment in a project up to taka 3 crores. The ceiling has further being raised to taka 10 crores in spite of the adequate facilities and incentives provided to the private sectors encouraging response was not for the coming. One of the reasons among other was the lack of institutional facilities, which provides underwriting support (Lick former ICB) to industrial enterprise that was required to raise much need equity fund. Thus, the need for reactivation for capital market, stock market was keenly felt. The Investment Corporation of Bangladesh (ICB) was established on 1 October 1976, under “The Investment Corporation of Bangladesh Ordinance, 1976” (no. XL of 1976).The establishment of ICB was a major step in a series of measures undertaken by the Government to accelerate the pace of industrialization and to develop a well-organized and vibrant capital market particularly securities market in Bangladesh.ICB caters to the need of institutional support to meet the equity gap of the companies. In view of the national policy of accelerating the rate of savings and investment to foster self-reliant economy, ICB assumes an indispensable and pivotal role. Through the enactment of the Investment Corporation of Bangladesh (Amendment) Act, 2000(no. 24 of 2000), reforms in operational strategies and business policies have been implemented by establishing and operating subsidiary companies under ICB. To encourage and broaden the base of investment. To develop the capital market. To provide for matters ancillary thereto. To promote and establish subsidiary companies for business expansion. To act on commercial consideration with due regard to the interest of industry, commerce, depositors, investors and to the public in general. To provide financial assistance to projects subject to their economic and commercial viability. To arrange consortium of financial institutions including merchant banks to provide equity support to projects and thereby spread the risk of underwriting. To develop and encourage entrepreneurs. To induce small and medium savers for investment in securities. To encourage Investment in IT sector. To encourage Investment in joint venture capital/project. Direct purchase of shares and debentures including Pre-IPO placement and equity participation. Providing lease finance to industrial machinery and other equipments singly or by forming syndicate. Underwriting of initial public offering of shares and debentures. Underwriting of right issue of shares. Managing Open End and Closed End Mutual Funds. Operating on the Stock Exchanges. Providing investment counsel to issuers and investors. Participating in Government divestment Program. Participating in and financing of, joint-venture projects. Introducing new business products suiting market demand. To act as Trusty and Custodian. Dealing in other matters related to capital market operations. Tk.30.27 crore (5.74 %) and Tk.3.05 crore (0.57 %) as income from other sources. Due to efficient management of the portfolio and favorable market condition income from capital gain stood at Tk.262.9 crore in 2009-10, which was 123.63 % higher than the capital gain of Tk.117.56 crore of the previous year. Divided income increased due to satisfactory dividend performance of maximum companies. During 2009-10, the total expenditure amounted to Tk. 314.57 crore as compared to Tk. 252.58 crore in 2008-09 showing a decrease of 24.54% over the previous year. The major heads of expenditure were: interest expense of Tk. 157.71 crore which was Tk. 172.85 crore in the previous year, showing a decrease by 8.72 %. Other operating expense was Tk. 29.78 crore compared to Tk. 21.32 crore in 2008-09, registering an increase by 39.68%. Through the other operating expense was 39.68% higher than that of the previous year, it was 19.43% lower than the budgeted amount of Tk.36.96 crore as a result of various measures undertaken by the management to contain costs. During the year, provision of Tk.2.02 crore was provided against loans and advances. In addition, Tk.100.0 crore has been set aside against future diminution in the value of marketable securities held in the own portfolio, possible fluctuation of stock market indices and present booming market condition. During 2009-10, ICB’s net profit after tax increased to Tk. 213.05 crore from Tk. 111.63 crore in 2008-09, showing an increase of 90.85 percent. The Board of directors of ICB recommended cash dividend as the rate of Tk. 15.00 per share and 1:4 stock dividend for 2009-2010. Cash dividend of Tk. 5.00 per share and 1:1 stock dividends were paid in the previous year. ICB has been one of the architects of the capital market, particularly the securities market in Bangladesh. ICB undertakes diverse activities with the objectives of quickening the pace of industrialization on the one hand and on the other hand, bolster the capital market. ICB and its three subsidiary companies play impressive roles in maintaining a buoyant and sustainable capital market in the country. In this regard ICB participates both in primary and secondary markets. As on 30 June 2010, the number of ICB assisted securities was 139 out of 279 listed securities (excluding 171 Govt. treasury bonds) of Dhaka Stock Exchange Ltd. Out of 232 listed securities of Chittagong Stock Exchange were 100. In the reporting year, through the purchase and sale of securities for ICB’s investment portfolio, unit fund and mutual funds portfolios and on behalf of investment account holders ICB made significant contribution In maintaining depth, stability, reliability and liquidity of the stock market. During 2009-10 the total trading of ICB and its subsidiary companies in both the bourses was Tk. 12435.32 crore which was 129.24 percent higher than the previous year. In the reporting year, ICB and its subsidiary companies contribution to total turnover of Tk. 277870.91 crore of both the bourses was 4.48 percent which was 5.32 percent in the preceding year. As the rate of contribution of ICB and its subsidiary companies to total turnover of both the bourses has increased, simultaneously the transaction volume has increased significantly during the year. The activities pertaining to merchant banking, mutual fund operations and stock brokerage functions by the three subsidiary companies of ICB, namely ICB Capital Management Ltd.ICB Asset Management Company Ltd. and ICB Securities Trading Company Ltd. has been remarkable during the year. During the year, all the mutual funds and unit funds managed by ICB Asset management Company Ltd. a subsidiary of ICB declared much higher dividend over 2008-09. ICB motivates companies to float bonds in the securities market. Up to 30 June 2010, 11 bonds of 8 companies of Tk.1007.95 crore have been floated of which one is a listed corporate bond. Ten out of these eleven bonds were floated under trusteeship of ICB. ICB has taken steps to float two sectoral mutual funds of Tk. 500.0 crore each mainly to develop the power sector of the country. The decision was taken in a Board meeting held on 13 April 2010. ICB is authorized to act as an agent of the issuers and investors for private placements of securities. Under this arrangement, ICB places securities to individuals/institutions on behalf of the issuers for which it charges fees. ICB also acquires shares/securities for its own portfolio. ICB is acting as trustee to the issue of debenture and securitized bonds. Up to 30 June 2009 ICB acted as trustee to the debenture issues of 17 companies involving taka 184.15 crore and issues of 7 bonds of 5 companies involving taka 624.36 crore. ICB also under took the responsibilities of trustee to 8 mutual funds involving taka 230.00 crore. To act as the custodian to the public issue of open-end &closed-end mutual funds, ICB provides professional services. It also acts as banker to the issues and provides similar services through the network of its branches. Fees in this regard are negotiable. However, ICB has, under restructuring programme, discontinued issue management function since 2003. ICB extends lease finance mainly for machinery, equipment and transport. ICB has the capacity to provide professional advice and financial assistance to the prospective clients. The period of lease, rentals, charges and other terms and conditions are determined on the basis of type of assets and the extent of assistance required by the applicants. Since introduction of this scheme in 1999 good response has been received from the intending lessees. Advance against ICB Mutual Fund Certificates Scheme was introduced in 2003, designed for the ICB mutual fund certificate holders to meet their emergency fund requirements. One can borrow maximum of 50 percent value of last one year’s weighted average market price of certificates at time of borrowing by depositing his/her certificates under lien arrangement from any of the ICB offices. The rate of interest on the loan is reasonable and also competitive. Advance against ICB Unit Certificates Scheme was introduced in 1998, especially designed for the ICB unit- holders to meet their emergency fund requirements. One can borrow maximum Tk. 85 per unit by depositing his/her unit certificates under lien arrangement from any of the ICB offices where from such unit certificates were issued. The rate of interest on the loan is reasonable and competitive. With a view to encourage rapid industrialization of high risk but potential industries of the country ICB as part of business diversification has launched venture capital financing scheme. Up to 30 June 2010 ICB has received 5 applications for financing of Tk. 76.62 crore. The Government of Bangladesh (GOB) had set up an Equity Development Fund (EDF) in the budget 200-01 known as Equity and Entrepreneurship Fund (EEF) with a view to encouraging the investors to invest in the rather risky but promising two sectors, namely, software industry and food-processing/agro-based industry. Initially the management of the fund was vested to Bangladesh Bank. Subsequently a sub-agency agreement was signed between ICB and Bangladesh Bank on 1st June 2009. According to this agreement, the management of the fund has been devolved on ICB. Mutual Funds are also known as close ended Mutual Funds. The issued capital of a Mutual Fund is limited, that is, a Mutual Fund offers a limited number of certificates for sale to the public. The amount of capital and the number of certificates of each Mutual Fund remains unchanged. ICB Mutual Funds are independent of one another. A Mutual Fund being listed is traded on the Stock Exchanges. Price of Mutual Fund certificates after IPO is determined on the Stock Exchanges through interaction of supply and demand. The market price of a Mutual Fund certificates is available in Stock exchange quotations and in newspapers. ICB Unit Fund was established on April 10, 1981. Its main objective is to mobilize savings through sale of its units to small investors and invest these funds in marketable securities. The schemes provides a potential source of equity and debt to industrial and commercial concerns and thus contribute to the industrial development of the country. Unit fund is an open ended Mutual Fund. It provides an opportunity to the unit holders to invest their funds in a well managed and diversified portfolio with a high degree of security of capital and reasonable yearly returns. The Investors’ Scheme was introduced in 1977 with the objective of broadening the base of equity investment through mobilizing savings of small and medium size savers for investment in the securities market. In addition to Head Office, Investment Accounts are also operated at the 7 branch offices of ICB located at Dhaka, Chittagong , Rajshahi, Khulna , Barisal , Sylhet, and Bogra. However in view of strategic changes in policy reform, from 01 July 2002 ‘ICB Capital Management Ltd.’ started opening and managing investment accounts. ICB will continue to provide services to its existing accounts only. Further steps were undertaken to enhance the quality and speedy service under the scheme like computerization of all activities and installation of merchandizing operation management software. This enables the management to offer better and quick service to the investors including instant supply of the financial statement, portfolio, balance of the accounts, etc. Installation of telephone banking system in Investors’ Account enabling investors to collect information and operate their account over telephone was at the final stage of operations. Besides, installation of Electronic display system of DSE online trading on the floor of ICB was in progress. Customs Guarantee for solving different disagreements between the customs authority and the business classes at the initial stage. The maximum limit of guarantee is Tk. 2.00 crore and would be issued against at least 20% cash and 80% easily encashable securities or against 100% cash margin. Re-guarantee from other financial institution is required for guarantee against the amount exceeding Tk. 2.00 crore. Companies willing to expand their business through mergers or acquisitions or to Disinvestment projects that no longer viable into present capacity of operation can contact the Corporation. ICB provides professional services & advices in respect of shaping up the cost and financial structures to ensure best possible operational results. Besides, in case of divestment, the corporation, through network and established business relationship, bring buyers and sellers together, help them to negotiate final agreement and advice on the emerging corporate structure. It is a recognized principle that diversification of investment reduces risk. An individual may not have the time, expertise and resources to undertake such diversification. Here arises the advantage of a Mutual Fund. Mutual Funds pool the savings of a great number of investors and make investments in a wide array of securities. In Bangladesh ICB has pioneered Mutual Funds for the sake of investors and of the capital market. Country’s first Mutual Fund the “First ICB Mutual Fund “was floated on 25th April 1980. Since then ICB has, over the years, floated 8 Mutual Funds with the total capital of Tk. 17.50 crore. ICB Mutual Funds continued to command the confidence and attraction of investors as lucrative and rewarding investment in terms of steady dividend performance. Mutual Funds are also known as close ended Mutual Funds. The issued capital of a Mutual Fund is limited, that is, a Mutual Fund offers a limited number of certificates for sale to the public. The amount of capital and the number of certificates of each Mutual Fund remains unchanged. ICB Mutual Funds are independent of one another. A Mutual Fund being listed is traded on the Stock Exchanges. Price of Mutual Fund certificates after IPO is determined on the Stock Exchanges through interaction of supply and demand. The market price of a Mutual Fund certificates is available in Stock exchange quotations and in newspapers. .
Open-end investment company is a fund that continues to sale and repurchases their shares after their initial public offering. They stand ready to sell additional number of shares and thus keep going larger. The open-end fund company can by or sale their own shares. A close-end investment company operates like any other public firm. Their stock is traded on regular secondary market and the market price of its shares is determined by the supply and demand. It has a definite target amount for the found and cannot sell more shares after its initial offering. Its growths in terms of number of shares are issued like any other company’s new issues listed and quoted it stock exchange. The objective of any fund would fit into one of three broad categories. Income: The emphasis is on producing a steady flow of dividend payment. Capital gain: The manager concentrates on increasing the value of principal through appreciation of the stocks held. Income and capital gain: Some combination of the first two approaches. Mutual Fund substantially minimizes the investment risk of small investors through diversification in which funds are spread out into various sectors, companies, securities as well as entirely different market. Mutual Fund mobilizes the savings of small investor and channels them into lucrative investment opportunities. As a result, Mutual Fund adds liquidity to the market. Mutual Fund provides the small investors access to the whole market that at an individual level, would be difficult if not impossible to achieve. Because funds are professionally managed, investors are relieved from the emotional strain associated with the day to day management of the fund. The investors save a great deal in transaction costs given that s/he has access to a large number of securities by purchasing a single share of a Mutual Fund. Mutual Fund is the only vehicle which operates simultaneously both at the demand as well as the supply side of the market. On the supply side, the Mutual Fund being itself security at the SEC introduces a good and reliable instrument in the capital market for the small but astute investor. Mutual Fund is one of the most strictly regulated investment vehicles. The laws governing Mutual Fund require exhaustive disclosure to the SEC as well as the general public. The laws also entail continuous regulations of fund operations by the Trustee. 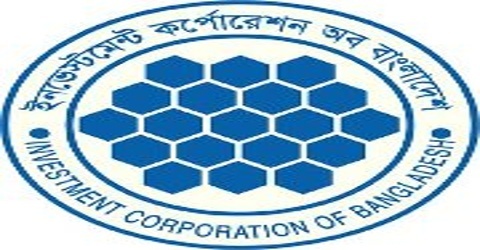 ICB pioneered the Mutual Fund industry in Bangladesh. The country’s first Mutual Fund, the “First ICB Mutual Fund” was launched on 25 April 1980. Since then ICB had floated eight Mutual Funds of total capital of Tk.17.5 crore up to 1996.All ICB Mutual Funds are close-end Mutual Funds. Investors now perceive ICB Mutual Funds as a rewarding and relatively safe investment vehicle because of its strong and steady performance in terms dividend and portfolio management. ICB launches eight Mutual Funds in different period with different paid up capital. Renunciation and issue of certificate. Maintain the register of the certificate holders. Transfer certificate if applied for after verifying transferee signature. Register the name of the transferee after getting approval from competent authority. Prepare dividend list and issue and mail dividend warrant as decided by the board. Record/ correct changes of address if applied. Reissue certificate after confirming loss and mark transfer restriction of the lost certificate, if applied for and also inform DSE & CSE on revision of the following document submitted by the loser. The Corporation may from constitute of ICB mutual funds of such denominations and securities in such each case as the board may determine. ICB mutual fund certificates will be listed and quoted in the stock exchange in Bangladesh and the board may determine subject to the permission of the stock exchange. ICB mutual funds certificate shall be movable property and freely transferable. ICB Mutual Fund certificate will be sold or offered for subscription with the prior consent of the government. There is a decision making board in order to manage different Mutual Funds. As per board’s decision securities are bought under different Mutual Funds. At the same way securities are sold. In case of new Mutual Fund subscribes for public issue. ICB authority is made portfolio earlier by its own finance and given it name. After that it is published on any newspaper as prospectus. By studying this prospectus public response whether they will buy the Mutual Fund or not. When ICB floats a new mutual fund, it is announced through publication of prospectus in two widely circulated newspapers. An investor has to apply for the shares of new mutual fund by filling in prescribed application form that can be collected from ICB officers and other attorney banks. Sometimes allotment is done by lottery draw.10% of any new mutual fund is served for non-Bangladeshi. Any Bangladeshi living abroad can collect from Bangladesh mission abroad or from authorized bank branches or from web site. An investor can purchase any of the existing eight ICB Mutual Funds certificates through the Stock Exchanges at the prevailing Market Price. However, if an investor buys Mutual Fund certificates through the Stock Exchanges he/she must be careful to submit the certificates along with duly filled-in transfer deed at ICB Head Office to ensure that the certificates are registered in his/her name. Advance against ICB Mutual Fund certificates Scheme was introduced in 2003, designed for the ICB Mutual Fund Certificate holders to meet their emergency fund requirement. One can borrow maximum of 50% value of last one year’s weighted average market price of certificates at time of borrowing by depositing his/her certificates under lien arrangement from any of the ICB offices. The rate of interest on the loan is reasonable and also competitive. ICB Mutual Funds Certificates holders shall have unfettered ownership in the assets of the Fund to which they are related. In case of winding up of the Corporation the assets belonging to any ICB Mutual Fund shall not be treated as the assets of the Corporation. Investment in Certificates provides the same tax exemptions as an investment qualifying under Section 44 of the Income Tax Ordinance, 1984. Capital gains received on investment in the Fund Certificates shall not be included in the total income of a Certificate holder within the limits specified in the Income Tax Ordinance, 1984. Dividends received on investment in the Fund will be treated as dividend income under Income Tax Act, and will be exempted from tax with the limits specified in the Act. The Fund incomes are to be exempted from all taxes as granted by the Government as per SRO No 80-L/80 dated April, 1980. Interpretation: The standard ratio in this case is 2:1. The actual ratio for the fiscal year 2008-09 is 2.33:1 which is above of standard. In this case the current asset of ICB compared to current liabilities is sufficient. Again the actual ratio for the fiscal year 2009-10 is 3.41:1 which is above of the standard. Here the current asset of ICB compared to current liability is satisfactory. Interpretation: Standard ratio in this case 2:1. The actual ration for the fiscal year 2008-09 is 1.43:1 which is below of standard. In this case the current asset of ICB compared to current liability is not sufficient. Again the actual ratio for the fiscal year 2009-10 is 1.99:1 which is same to the standard. Here the current asset of ICB compared to current liability is satisfactory. Interpretation: Standard ratio in this case is 2:1. The actual ratio for the fiscal year 2008-09 is 1.78:1 which is below of standard. In this case the current asset of ICB compared to current liability is not sufficient. Again the actual ratio for the fiscal year 2009-10 is 2.04:1 which is above of the standard. Here the current asset of ICB compared to current liability is satisfactory. Interpretation: Standard ratio in this case is 2:1. The actual ratio for the fiscal year 2008-09 is 1.80:1 which is below of standard. In this case the current asset of ICB compared to current liability is not sufficient. Again the actual ratio for the fiscal year 2009-10 is 1.66:1 which is also below of the standard. Here the current asset of ICB compared to current liability is not satisfactory. Interpretation: Standard ratio in this case is 2:1. The actual ratio for the fiscal year 2008-09 is 1.46:1 which is below of standard. In this case the current asset of ICB compared to current liability is not sufficient. Again the actual ratio for the fiscal year 2009-10 is 1.51:1 which is also below of the standard. Here the current asset of ICB compared to current liability is not satisfactory. Interpretation: Standard ratio in this case is 2:1. The actual ratio for the fiscal year 2008-09 is 2.32:1 which is above of standard. In this case the current asset of ICB compared to current liability is sufficient. Again the actual ratio for the fiscal year 2009-10 is 2.59:1 which is also above of the standard. Here the current asset of ICB compared to current liability is satisfactory. Interpretation: Standard ratio in this case is 2:1. The actual ratio for the fiscal year 2008-09 is 1.52:1 which is below of standard. In this case the current asset of ICB compared to current liability is not sufficient. Again the actual ratio for the fiscal year 2009-10 is 1.58:1 which is also below of the standard. Here the current asset of ICB compared to current liability is not satisfactory. Interpretation: Standard ratio in this case is 2:1. The actual ratio for the fiscal year 2008-09 is 1.87:1 which is below of standard. In this case the current asset of ICB compared to current liability is not sufficient. Again the actual ratio for the fiscal year 2009-10 is 1.95:1 which is also below of the standard but it is more near from the standard level. Here the current asset of ICB compared to current liability is better but not satisfactory. Interpretation: Here we can sassily notice trend of earnings per share of ICB which is an indication of successful management of the fund, to retain the position and it is a bit higher. Interpretation: Here we can easily notice increasing trend of earnings per share of ICB which is an indication of successful management of the fund. Interpretation: Here we can easily notice an increasing trend of earnings per share of ICB which is an indication of successful management of the fund. EPS means Earning per Share. So, maximum earn from per share shows the maximum profit and company’s growth is well. Here we see that, EPS is increases in 2009-10 from previous year of 2008-09. It is a good sign for a company. And here most EPS comes from 1st ICB Mutual Fund. Interpretation: Price Earning Ratio gives the idea of what the market is willing to pay for the company’s earning. Higher PE indicates the higher risk. Here we see that in year 2009-10 PE is 15.42 it is more than for the year of 2008-09 15.01. It’s not a better for investors. Interpretation: Price Earning Ratio gives the idea of what the market is willing to pay for the company’s earning. Higher PE indicates the higher risk. Here we see that in year 2009-10 PE is 10.12, it is less than for the year of 2008-09 16.56. It’s a better for investors. Interpretation: Price Earning Ratio gives the idea of what the market is willing to pay for the company’s earning. Higher PE indicates the higher risk. Here we see that in year 2009-10 PE is 10.58, it is some more than for the year of 2008-09 10.37. It’s not a better for investors. Interpretation: Price Earning Ratio gives the idea of what the market is willing to pay for the company’s earning. Higher PE indicates the higher risk. Here we see that in year 2009-10 PE is 12.04, it is more than for the year of 2008-09 10.82. It’s not a better for investors. Interpretation: Price Earning Ratio gives the idea of what the market is willing to pay for the company’s earning. Higher PE indicates the higher risk. Here we see that in year 2009-10 PE is 12.39, it is more than for the year of 2008-09 15.66. It’s better for investors. Interpretation: Price Earning Ratio gives the idea of what the market is willing to pay for the company’s earning. Higher PE indicates the higher risk. Here we see that in year 2009-10 PE is 7.14, it is more than for the year of 2008-09 13.59. It’s better for investors. Interpretation: Price Earning Ratio gives the idea of what the market is willing to pay for the company’s earning. Higher PE indicates the higher risk. Here we see that in year 2009-10 PE is 10.64, it is more than for the year of 2008-09 17.85. It’s better for investors. Interpretation: Price Earning Ratio gives the idea of what the market is willing to pay for the company’s earning. Higher PE indicates the higher risk. Here we see that in year 2009-10 PE is 8.15, it is more than for the year of 2008-09 14.77. It’s better for investors. Here we see that, some PE ratios are flow down and some are flow up. PE ratio gives an idea of what the market is willing to pay for the company’s earnings. Lower PE ratio indicates the lower risk for investors. And higher ratio not better for investors. Most of the ICB Mutual Fund’s PE ratio goes down. That means investors are less willing to pay for the mutual funds. Interpretation: Capital gain on investment means gain from the sale of investment. Here we can see an increasing trend of rate of capital gain which indicated growing demand of fund in the market. Interpretation: Capital gain on investment means gain from the sale of investment. Here we can see an increasing trend of rate of capital gain which indicates growing demand of fund in the market. Interpretation: Capital gain on investment means gain from the sale of investment. Here we can see decreasing trend of rate of capital gain which indicates decreasing demand of fund in the market. Interpretation: Capital gain on investment means gain from the sale of investment. Here we can see increasing trend of rate of capital gain which indicates increasing demand of fund in the market. Here we see that, the capital gain some are increases and some are decreases. If it is maximize we can say it’s good. Authority and the committee are working properly, but here we see in 3rd ICB Mutual Fund decreases the capital gain 28.43% in 2008-09 and direct fall to 7.38% in year of 2009-10. It’s a very bad sign of this sector. Interpretation: Here we see an increasing trend of return on investment which indicated successful and wise full management of the fund. Interpretation: Here we see a increasing trend of return on investment which indicated successful of the fund. Interpretation: Here we see an increasing trend of return on investment which indicated efficient management of the fund. Here we see that, in every mutual fund’s return on investment are increases in 2009-10 from year of 2088-09. It is a very good scenario. Every company want to maximize the return on investment. Interpretation: Here we notice decreases of rate of paying cash dividend which indicates decreasing capability of ICB to invest fund. Interpretation: Here we notice an increasing trend of rate of paying cash dividend which indicates increasing capability of ICB to invest fund. Interpretation: Here we notice an increasing trend of rate of paying cash dividend which indicates increases satisfaction of investor. Interpretation: Here we notice decreasing trend of rate of paying cash dividend which indicates decreases not satisfaction of investor. Interpretation: Here we notice decreasing trend of rate of paying cash dividend which indicates decreases not satisfaction of investors. Here we see that, 1st, 5th and 8th ICB Mutual Fund is decreases and other Mutual Funds ration is increases. If dividend pay out ratio is increases this is indicates increasing capability of ICB to invest fund. And other hand if it’s decreases which indicates decreasing capability of ICB to invest fund. Here we see that, maximum profit earn from an individual securities. And 8th ICB Mutual Fund earn capital gain maximum from United Leasing Co. Ltd. and the amount is Tk. 73.29 Lac. Mutual funds are managed and run by a professional management team , the success and growth of the mutual funds depend future profitability and investors confidence also depend on the management performance . The services provided by the related personnel are not prompt. It is taking more than required time for giving the service. Same laggard procedure is also taking place at the time of execution of order. Withdrawal of any funds of securities is also very lengthy and complicated process and inefficiently managed. ICB has not yet done any systematic analysis for measuring how they are doing. ICB has not identified any key variables to size up all its diversified performance. Dividend is one of the sources of income for the mutual fund. Most of the companies do not declare dividend up to satisfactory level. The rate of supply of fundamentally strong securities is very low. Political unsteady position also hearts the investor’s sentiment in the market and thereby leads to flat the stock market. Share of public enterprises means government has been pursuing policy of divesting 49% shares of government enterprises of public subscription. In this regard govt. should reserve 30% of all new issues in all cases for ICB. Reserve should be kept at a minimum level; it may vary fund to fund, but not more than 25% of a fund’s income. Investing in costly borrowing funds should be reduced. Management may look for sources of less costly funds and reduce expenses and increase income. ICB should fix redemption date of each fund. I may redeem 1st, 2nd, and 3rd mutual fund. Because these funds are established for more than 15 years. ICB may take initiative and decision to float more funds for the stabilization of capital market and for gaining of investor’s confidence to invest in the capital market. ICB should reduce interest rate. Orders are to be executed quickly. Training program should be arranged for developing of management efficiency. ICB is a unique name in our country as an investment Bank. It is playing a pivotal role to develop the country’s capital market, ICB as the National Investment House is the organization to per from the activities by creating demand for securities and on the other hand to ensure the supply of securities in the Capital Market. ICB’s investor’s scheme helps to boost up domestic economy through facilitating to invest into the capital market. At a stage, this made an important effect on the capital market and excellent response from the investor’s/ the floatation of mutual funds and issuance of unit certificates by the ICB strengthens the activities of mutual fund. Mutual Fund department is appreciably innovative, explorative and dynamic. ICB should specially continue the operations and management of mutual fund because most of the small investors are key clients of mutual fund. But still, Mutual Funds are not above the shortcomings. So, ICB should concentrate to increase the performance of its mutual fund and way to find out the path for overcoming the problems of operations. We are quite optimistic that if the given recommendations of this paper are implemented then ICB mutual fund may be able to overcome its present problems and may enlarge its contribution to the rapid development of Bangladesh capital market.